One of the great careers in soul music was launched on Smokey’s 18th birthday with an answer record. Among the early career distinctions of William ‘Smokey’ Robinson, born in the North End area of Detroit on 19 February 1940, was the fact that his first single with the Miracles was released on the very day he turned 18. Robinson’s fateful meeting with Berry Gordy Jr. in 1957 started a lifetime friendship and planted the seed of the Motown legend. Then Berry set about helping Smokey and the group of young hopefuls that he fronted, newly renamed the Miracles, to their first record deal. It was with End Records, and on Smokey’s 18th birthday in 1958, their debut single was issued. So it was that one of the great careers in soul music was launched on that day by an answer record. Philadelphia R&B vocal group the Silhouettes had only entered the Hot 100 a month earlier with ‘Get A Job,’ which made them the ultimate one-hit-wonders, with one chart entry ever, at No. 1. 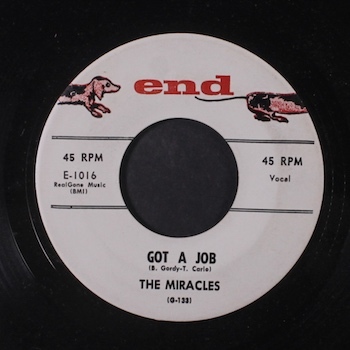 Gordy, himself trying to unlock the door to a career in the music industry, recorded the Miracles’ joyful response, ‘Got A Job,’ and got it licensed to End. That label had been founded the year before by George Goldner. Legend has it that Gordy made precisely $3 from the song, and by the following year, he had taken the plunge to form his own company. Robinson and the Miracles came with him to Motown, and when their song ‘Bad Girl’ was licensed to the much more nationally powerful Chess label, a modest Hot 100 debut was achieved. Marv Johnson’s ‘Come To Me’ had become the first Tamla single in January 1959, and was a national hit via another licensing deal, to United Artists. 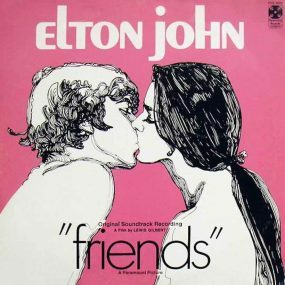 But even if further chart action for the Miracles was a little slow to arrive, their role was fundamental to the development of Motown, and it all started with an answer record. ‘Got A Job’ is on Smokey Robinson and the Miracles’ Gold compilation, which can be bought here. 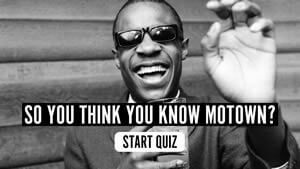 Follow the Motown Classics playlist.